Have you ever exported a model to Navisworks and wish your room tags were visible? 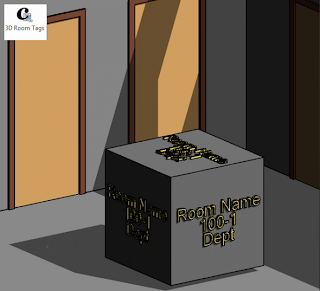 This utility will place a 3D Room Tag family at each room in your model using a provided Generic Model family. You can customize the family. Have you tried it vie the Open Source for Revit 2106? I get most all I have tried to work except the 3D Room Tag! Win a Free Custom-built Revit API App!